Sunset from the Metro station! 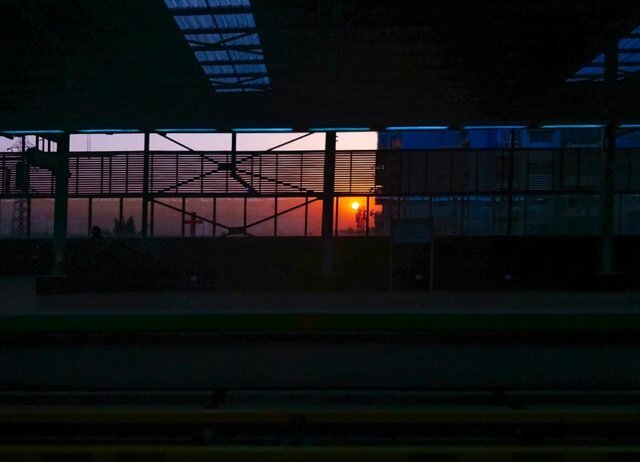 As soon as I got down and was about to leave the platform from the stairs in the glass wall in front of me saw the reflection of the setting sun, thought of capturing that reflection but it wasn't so prominent. The moving train disturbed the shot twice but I waited patiently till I got the Wink I was looking for.